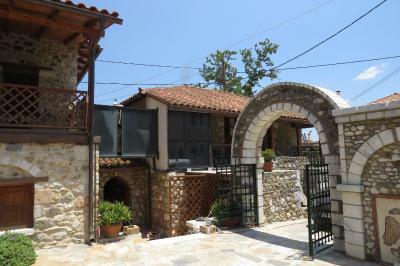 Lock in a great price for Mystras Inn – rated 9 by recent guests! Fantastic hosts who even drove us to the site so we could walk down. Comfortable room and the shower was large with a strong flow. Very nice balcony for relaxing. Breakfast was excellent! 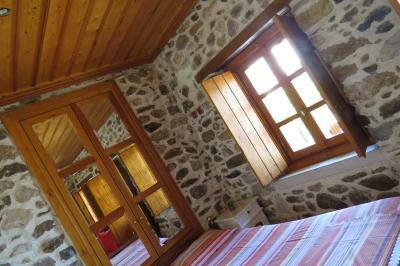 Location, comfort, bathroom （the best shower we’ve ever had during all our holidays in Greece! 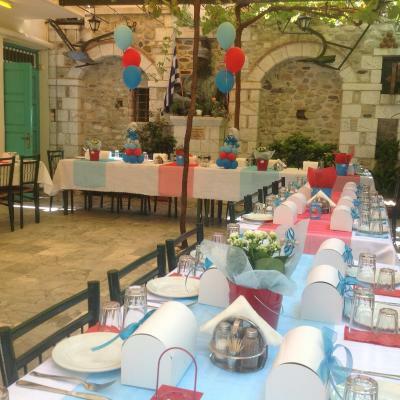 ), cleanliness, service, breakfast, authentic Greek food in their restaurant, kindness of the owner and his family! Best cost effective! 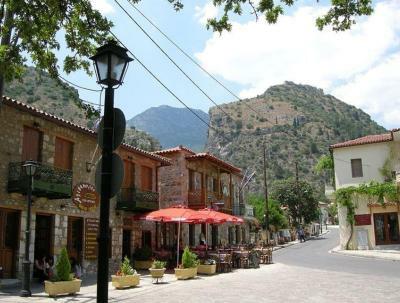 Beautiful setting at the foot of the Teygatos mountains, within a short drive of the Mystras archeological site. I traveled in January, and this was the only place that was warm enough that I did not have to wear all of my warm clothes when sleeping at night. They have a basic menu (I'm vegetarian, so got Greek salad, as I had to for most of my trip). 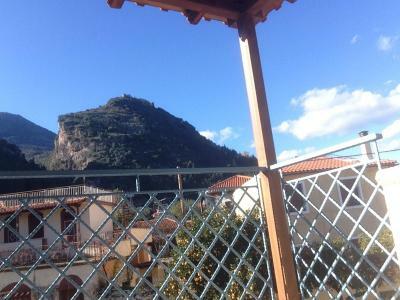 Wonderful people in gorgeous mountain setting, close to sights of Mystras. Couldn’t have been more convenient or pleasant. Friendly staff drove me to the top of the castle so I could walk down thru the ruins. 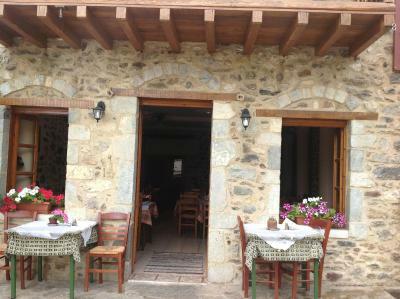 Great Taverna. 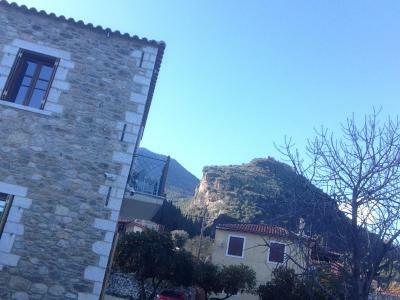 Great location in a magic town looking up to castles on the mountaintop. This is a small hotel run by the the same people (family?) that runs the restaurant below the rooms. It's a small place on what seem so on be the main square of a small town. Very enjoyable to get to sit on our balcony and watch the locals come and go below. The room included a very nice breakfast and they transported us up to the upper gate of the Mystras castle for free, allowing us to park our car at the lower gate. This allowed us to simply walk down rather than up the very steep hill, and then to arrive in the lot where our car was parked. This is a big help in making the castle visit more enjoyable. Good a/c. 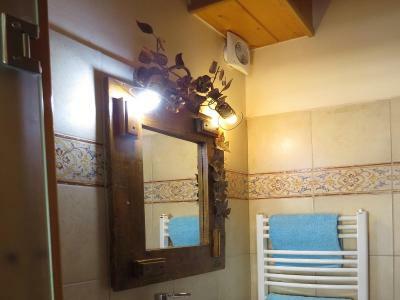 Good bathroom/shower. 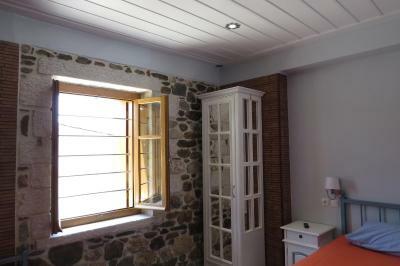 And closing the windows and shutters kept out any Satuday evening noise from the street below. The space provided us was very comfortable and having a balcony was a great bonus. 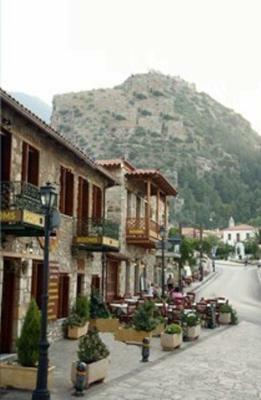 One of our top picks in Mystras.Located at the foot of Mount Taygetos, in scenic Mystras Town, the traditionally built Mystras Inn features a stone-paved courtyard and a restaurant. 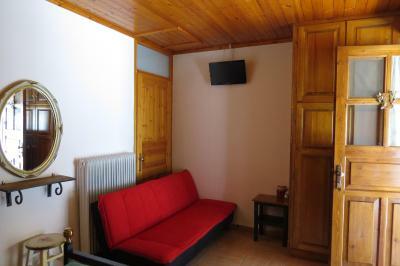 It offers free Wi-Fi and air-conditioned rooms with a balcony or patio. 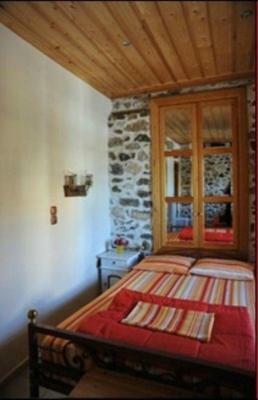 Overlooking the mountain, surrounding area or courtyard, the rooms have stone walls and wrought-iron beds. 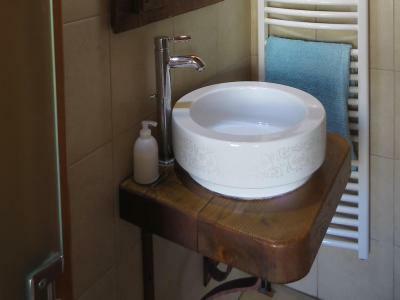 Each includes a safe, flat-screen TV with satellite and cable channels, and a private bathroom with a hairdryer. Guests can start their day with a continental breakfast served in the dining area or courtyard. The restaurant also offers traditional cuisine for lunch or dinner. 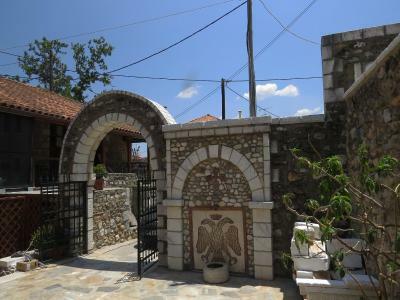 Just 350 feet from Mystras Inn is the Takis Aivalis camera museum, with the world’s largest camera collection. 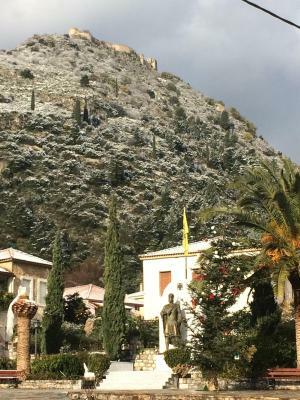 The archaeological museum of Mystras is 0.6 mi away. 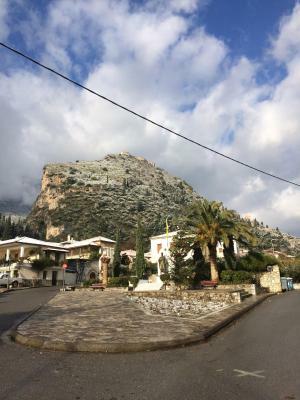 Sparti Town is 2.5 mi away and the town of Kalamata is 34 mi away. Car rental services can be provided and free private parking is possible on site. 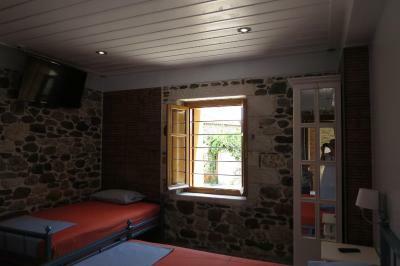 When would you like to stay at Mystras Inn? 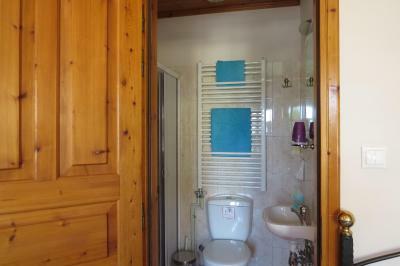 -a private bathroom with hairdryer. 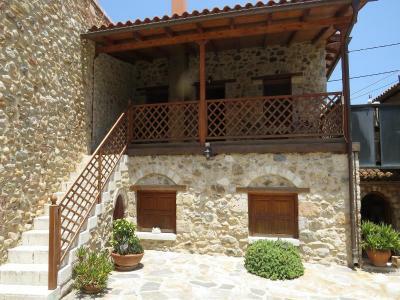 House Rules Mystras Inn takes special requests – add in the next step! Mystras Inn accepts these cards and reserves the right to temporarily hold an amount prior to arrival. We were given two rooms instead of a family room which worked out even better than we expected! Room although simple was clean. Breakfast was great. Wifi worked well too. Wonderful place with the castle just above... beautiful view and very nice place to stay. The host nivelle brought us by car up to the castle to avoid us too much walk. 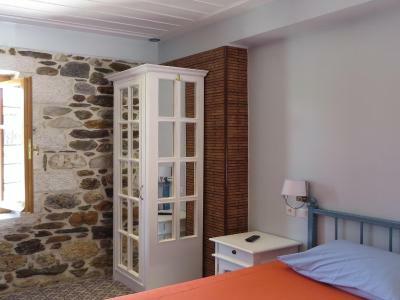 Beautiful rooms very clean , delicious restaurant close to the fireplace. All was perfect!!! Two brothers run the place, real nice, helpful. 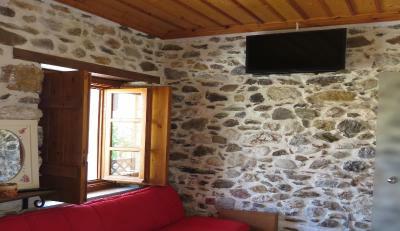 Perfect place to stay in Mystras. 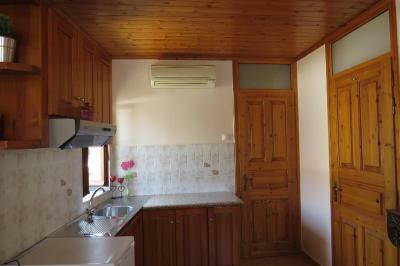 Nice size rooms, clean and good bathroom. The owners are very helpful and will always offer assistance if you only mention what you need. 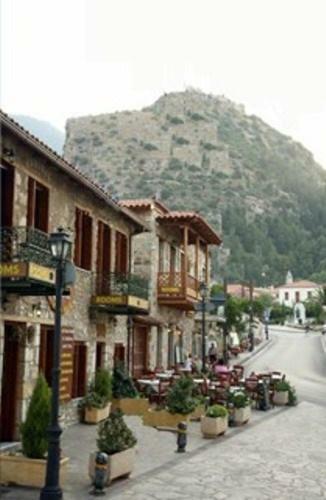 It is very close to excellent ruins of medieval castle, palace and city of Mystras which is well worth a visit. Also very good restaurant for dinner and for breakfast. I can surely recommend this place. 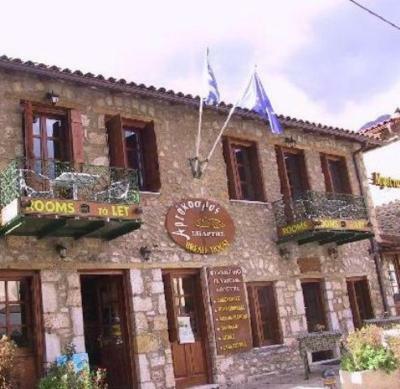 Beautiful country hotel in nice village Mystras. Hosts was very kind and open. 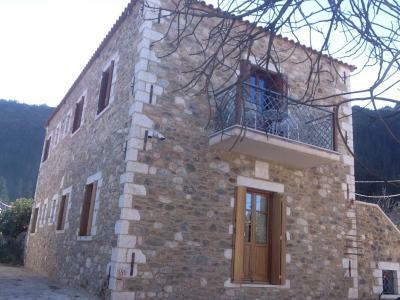 Perfect location at the centre of Mystras. 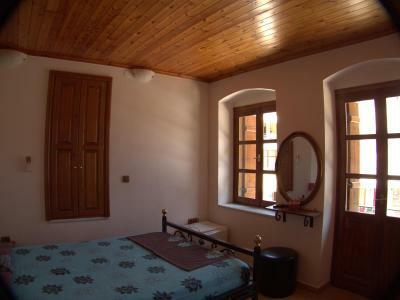 Lovely triple room with a balcony overlooking the square. Parking spaces behind the hotel. Would recommend. 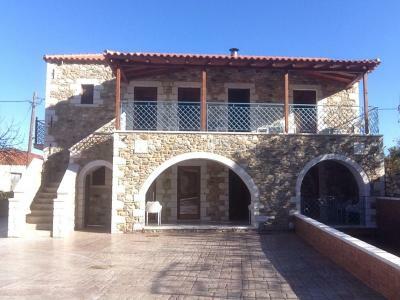 Best location for a mainland Greece trip to see Sparta and also Mystras. 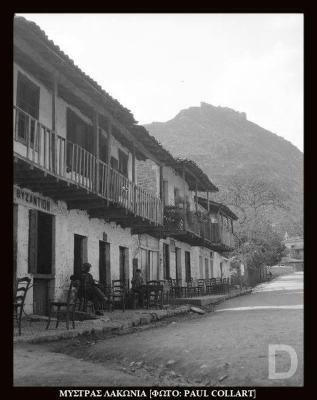 You need to see the palace/Castle on the top of the mountain. The Hotel owner is even willing to drive you to the top, so that you only need to walk down (and it is a big walk down!) The room is very big and the bathroom was outstanding! Breakfast is fine! 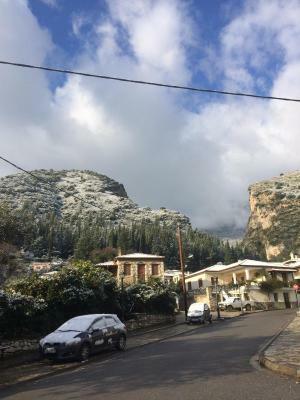 One big tip: If you are not afraid to drive mountain roads that are not properly maintained but have amazing views take Highway/Route 82 from Mystas towards Kalamata. You won't regret!!!!! 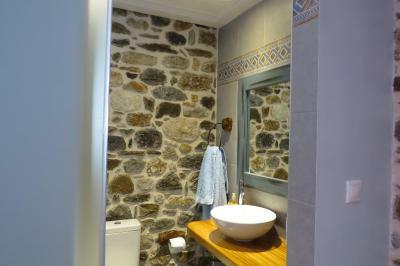 Modern room with character, great shower. Delicious dinner and breakfast, lovely little town. The location was great...charming hotel in a charming town. Food was excellent.